It’s always fun seeing new laundry coupons because with a family of 6 (almost 7) you go through a lot of laundry detergent! 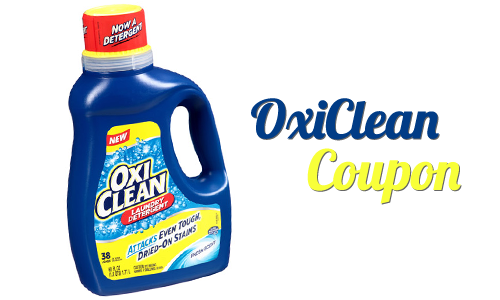 Print the new $2 off OxiClean laundry detergent coupon and pair it with a sale for the best savings. Tip: This coupon can be printed up two times per computer!